On March 28, NYU hosted their fourth annual “One Day” fundraising campaign. The University collectively raised over 4,000 matched gifts and the MBA class of 2019 made dozens of contributions to their annual class gift. As a student that has benefited remarkably from NYU’s Tech MBA program with a shiny new job offer, I felt compelled to give back. While I was determining how my gift would be spent, I was reminded of the sheer size of NYU and the academic resources available outside of Stern. Between recruiting, club events, and classes, it’s easy to simply stay inside of the business school and maintain a packed schedule. 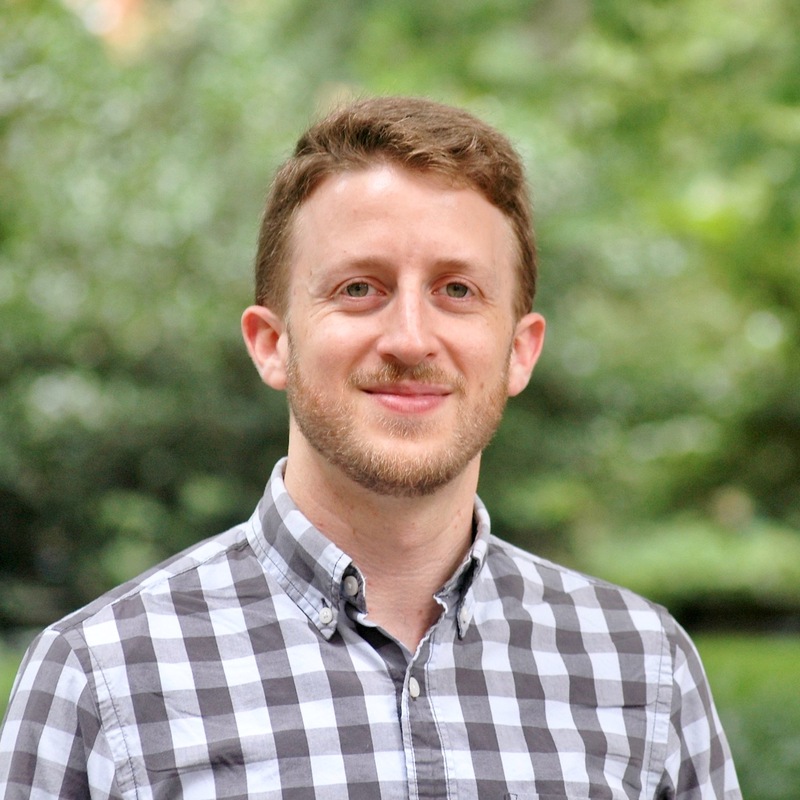 However, NYU is much more than just Stern, and I want to highlight some classes and opportunities available outside of the business school in this blog post. There are a couple of core technology classes that are required as part of the Tech MBA program: Foundations of Networks and DevOps & Agile Methodologies. These two classes are graduate level computer science courses taught at the Courant Institute of Mathematical Sciences. If you’re not already familiar with Courant, I highly recommend making a quick Google search to learn about the high-caliber faculty that make it such a competitive graduate school for applied math, computer science, and information systems. If you’re joining the Tech MBA program with a lighter technical background, these classes will be challenging. Nevertheless, the full-time and adjunct faculty at Courant understand they are teaching a variety of skill sets among business students and your more technical classmates will be invaluable throughout the year. Stern also offers a credit overload program. The credit overload policy at Stern allows full-time MBA students to take up to 3 additional credits. This can be completed as one 3-credit class in one semester or split over the fall and spring semester with two 1.5-credit classes. If you take full advantage of the credit overload system, you will graduate with a total of 54 credits, just 6 credits shy of a two-year MBA from Stern. This is an incredible value considering the Tech MBA takes only 12 months to complete. These additional credits allow you to take various elective classes, and some are offered outside of Stern. I have taken advantage of this and will be venturing down to the NYU School of Law during my final semester. The class is called, “Negotiating Complex Transactions with Lawyers and Business Professionals” and is comprised of both law and business students. Combining the two sets of students from the different graduate schools offers new learning opportunities, debates, and conversations to take place, in addition to new networking opportunities. In addition to classes outside of Stern, there is a university-wide event calendar that posts concerts, lectures, exhibits, games, and more happening on or around campus. I hope that if you attend NYU, you make the most out of your time by exploring everything that the greater university has to offer. Work hard. Play hard. I think this is a motto that most MBA students can identify with. While of course there is plenty of work and studying to accomplish in order to earn the degree, an MBA is likely the last time in your life you won’t have a morning commute and boss to report to – and you should take advantage! 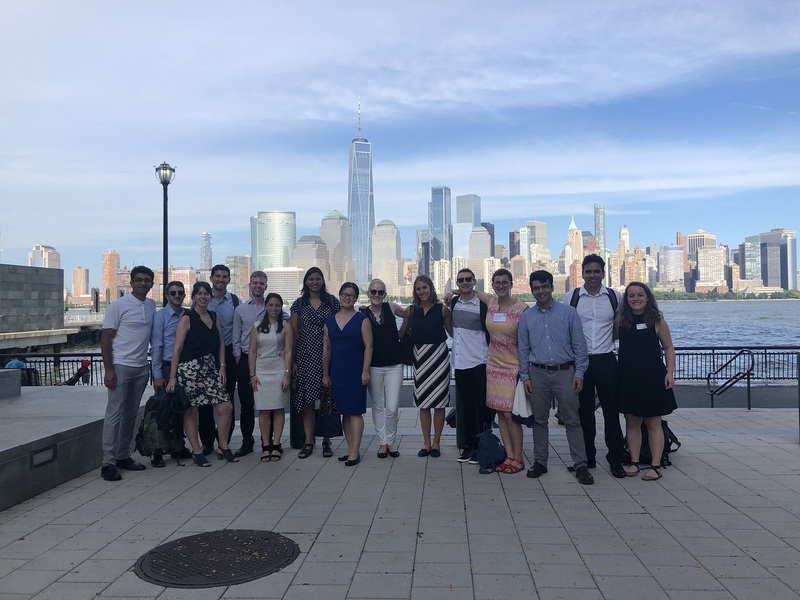 There are plenty of opportunities to unwind and have some fun throughout the MBA program at Stern, from the weekly Thursday night “Beer Blast”, to the Welcome Back Boat Cruise around Manhattan. 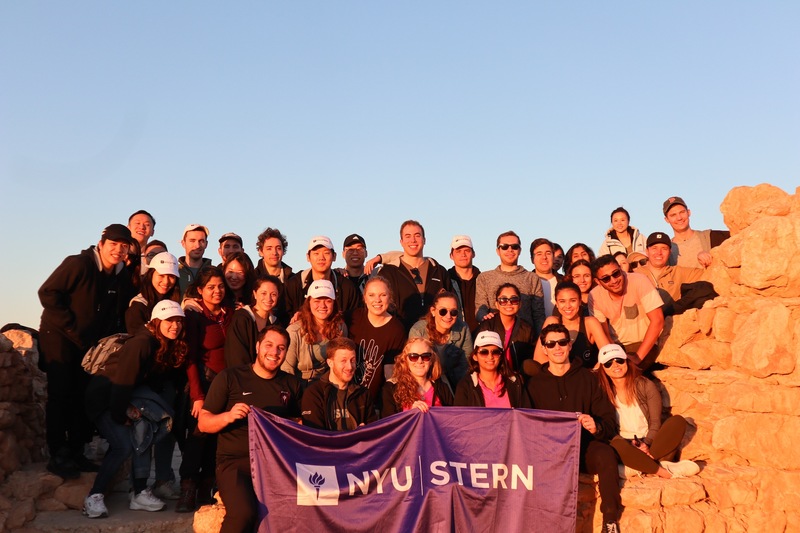 But perhaps nothing can match the spring break treks led by some of the amazing affinity clubs at Stern. This year, we had options of heading to one of the following school-sponsored trip locations: Israel, Vietnam, Tanzania, New Zealand, Japan, Himalayas, and Patagonia. After working hard through the first half of the spring semester, the break finally arrived, and I and many of my classmates left New York City and jetted off to different corners of the world. I attended the trek to Israel, and it exceeded even my lofty expectations. First off, it’s a great opportunity to meet other two-year MBA students. 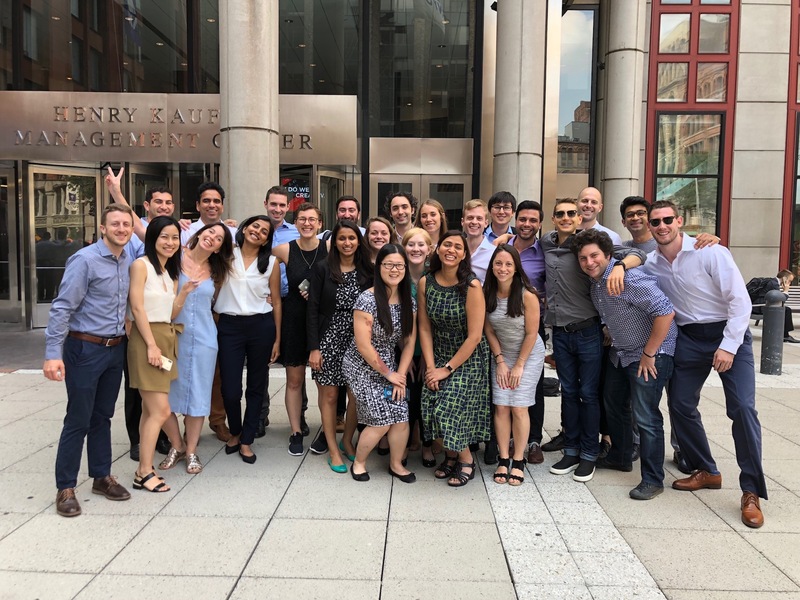 It can be easy to stay confined to your fellow Tech MBA students during your year at Stern, but between classes and events like these treks, there are ample opportunities to grow your network outside of 1-year classmates. After a long flight, we wasted no time in exploring and learning about the country. Throughout the trek, we were joined by a professional Israeli tour guide, who shared his knowledge about the thousands of years of history in the country. Some of the historical stops in the trip included: The Old City of Jerusalem, the Yad Va’Shem Holocaust Museum, a sunrise hike and tour of Masada (seen in the photo above), excursions through Caper Naum and Nazareth, and finally a tour through the old town of Jaffa. But it wasn’t all history – through visits to an Israeli Air Force base, and lectures from a former military Colonel as well as a business CEO, we were able to learn about all the forces shaping Israel and the Middle East today, and how we might want to keep them in mind as future global business leaders. And finally, what would be a successful spring break trip without some fun: from beach parties on the shores of the Dead Sea, to ATV rides through northern Israel, to nights out in world-famous Tel Aviv clubs, this trek offered something for everyone. For now, it’s back to school and homework, but these last few months of the final semester will undoubtedly offer lots more opportunities for fun and chances to make even more lasting connections with classmates who will be part of your network for life. Posted in UncategorizedLeave a Comment on Spring Break! On February 4th of 2019, we all got back to Stern with a strange feeling, this was to be our last semester and we wanted to make the most of it. Discuss the future of tech. The diversity in company visits was amazing. To give you a sample we had the opportunity to visit the Boeing factory, the Tableau office, and we met with leading VCs of the valley who talked about their portfolio. And that is just a small sample of the meetings we had that week. We all felt impressed by the time every person spent with us – everyone seemed genuinely ready and pleased to share their journey, their challenges, and even asked our opinion on their business or tech questions. During the trip we didn’t only learn about tech and business, we also learned about each other – the 31 students of the inaugural Tech MBA class. Because when you spend two weeks, 24/7 with people, you learn more than just what’s at the surface. We got to understand the challenges, fears, life goals and values of our classmates, and we all, as a team, worked on trying to make this trip the best for each other. We made introductions to people we knew and made sure everyone had the chance to speak during networking time and corporate presentations. With empathy and compassion, we made the best out of the trip. We all felt that these two weeks were very special, and it was very hard to say goodbye. So, here I am in my last semester. This is my third Masters degree, so clearly I have said that sentence a lot, but it never felt stronger than on that day facing Stern. For me, this semester is about getting to know as many classmates as I can. I gave myself the challenge to create a strong network with the MBA1s and MBA2s and try to learn as much as I can. So I picked classes that were not tech focused, and I have to say that I love it. I have a class in brand strategy where we have been working with cosmetic and kitchen tools brands, and it is super fun for me to get out from the tech-focused program and expand my horizons in what takes to create a business. This semester will pass at light speed, but I know that we will make sure to enjoy the time together as a team, as a class and to get the best out of it. In the spirit of International Women’s Day, I want to take the chance to highlight a few female professors I have had Stern. They are not only just teachers to me but also mentors and role models. They inspire me to keep learning, dreaming and charging forward. I had professor Sonia Marciano for my strategy business core class in the summer. Still adapting to the business mindset at that point, I was completely blown away by Sonia’s class. She is super smart and down-to-earth. She has a witty and straightforward way of explaining concepts – they all seemed so common-sense and obvious yet I would have never thought of them from those angles on my own. Many of the things she taught us not only apply to business situations, but also to daily life situations, too. First, focus your time and energy on things that are high weight and high variation. She used the example of her daughter’s sock puppet assignment in her English literature class (hence the term ‘sock-puppeting’) – if the outcome between spending 2 hours and 20 hours on this assignment is 2%, it’s probably worth spending the 18 hours on things that will have a bigger impact on grades. This was definitely a life saver in business school where there are so many things competing for our time and we have to be strategic about how to spend our time. Second, leverage your strength and be big in a dimension. In business, this carefully chosen strategic position allows a firm to enjoy a monopolistic position in an industry. On a personal level, I pivoted my job searching strategy from looking for product manager position in tech companies (which I have little background in) to looking for strategy position with heavy data analytics component. I received way more response after I changed my job searching strategy and ultimately landed an internal strategy consulting position at IBM. Professor Anjolein Schmeits was our finance professor at the end of the summer. She is very passionate about teaching and cares deeply about her students. That reflects in how energetic she always was in class despite the fact she was teaching 9 hours in a day. Finance is a very quantitative subject and the lecture can get very dry if not thought out properly. With Anjolein’s class, you never noticed that 3 hours went by. All the concepts were explained in an easily digestible way. Her structure was logical and emphasized not only the what and how but also the why. I definitely wished we could’ve had more class time with her! Professor Amy Webb is teaching one of the most unique electives at Stern – Predicting the Future of Technology. This class goes through her unique framework of strategic foresight regarding to technology trends – CIPHER – explained in detail in her book “The Signals are Talking”. Amy has an amazing talent of telling stories so her class is always engaging and thought provoking. The ‘moment of trends’ exercise we did at the beginning of every class started my habit of keeping a pulse of news in the technology industry, from announcements of new products to PR of tech companies to mergers & acquisitions in the industry. We were able to apply her methodology in each class on current trends we care about – like what we might do once we graduate. These in-class exercises are what she would do with her executive clients. Did I mention she brought delicious gluten-free, nut-free and dairy-free treats to every class? Also, check out her TED talk on how she found her soul mate using on-line dating platform, the story is being turned into a movie now. There are so many more amazing female professors at Stern who were essential to my experience this past year. Lastly, I want to give a big shout out to all my fellows at Stern Women in Business (SWIB) and all the male allies. 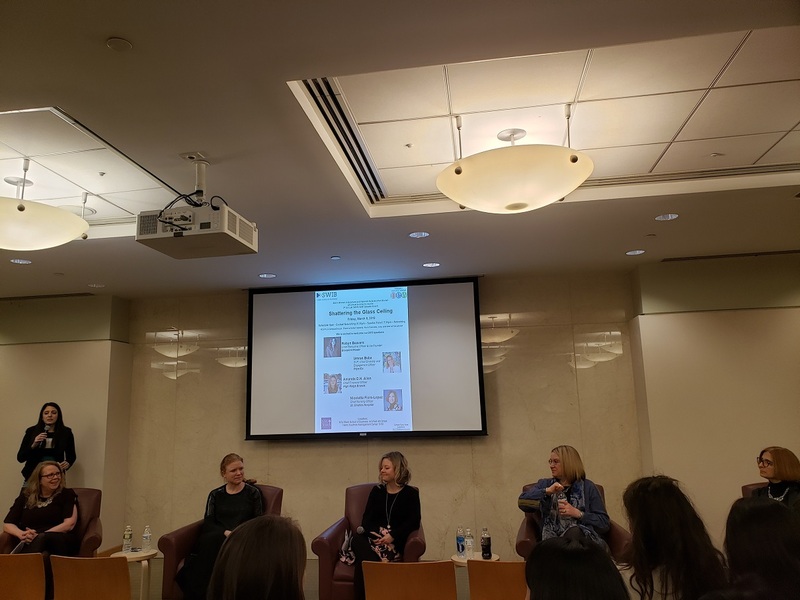 We recently hosted an event titled “Shattering the Glass Ceiling” featuring an incredible panel of executive women. Happy international women’s day! How do I best prepare myself for the year ahead? If you have the opportunity, I would try to take some time off in between resigning from your job and starting the program. Not only is there plenty to organize if you are moving to New York, but also mentally I think it is beneficial to take some time to switch from employee to student mode. Finally, make sure to make time now for your friends and family! How do I find a place to live in New York? There are two options: student housing or the regular housing market. While the student housing is very close to campus, the Stern graduate housing has similar pricing as regular housing while being shared, so most students decide to find something on their own. Students from our class live all over the city: in Manhattan, Brooklyn and also New Jersey. Where you want to live depends mostly on your personal preferences and budget. The rental market cycle in New York is later than most other cities and typically viewings are two to four weeks before the rental start period. If you prefer to share, some of my classmates met at one of the admitted student events and decided to live together! How do I make the most out of the year? It is a bit cliché, but I personally believe that if you don’t know where you are going, you will never get there. Therefore, before the start of the program, take a moment to sit down and write out your goals. These can be academic, social, career and personal. An optional way to do it is to imagine yourself at graduation and write what you will have achieved. As the year progresses, look back at this document from time to time. This will allow you to stay focused on your goals, as the year will go by so fast. I’m an international student, what should I do in preparation? Besides the visa process, moving internationally is a bit more challenging. Firstly, finances: Open an American bank account as quickly as possible as this is often required for housing (often this needs to be done from within the US, with the exception of HSBC). I found TransferWise very useful to transfer foreign currency to my US bank account with low fees. Set up Venmo with your US bank account, which you will use it often to transfer small amounts to classmates etc. Secondly, phone plan: I remember that I received a SIM card from Mint mobile in my international student packet from Stern, which provides good value. Third, housing: You most likely need an US co-signer for renting an apartment. If you don’t have one, there are companies that will be a co-signer for you (for a fee) such as TheGuarantors. I also find that larger real estate companies like Two Trees are easier in the process of renting out to international students than individual land lords. These companies don’t require international students to pay a couple months of rent upfront which many individual landlords do. Can I work during the year? As an international student on an F1 visa you can only work on campus. There are several job possibilities, although all require an application process: teaching assistant (supporting professors) graduate ambassador for the admissions office, or support on an undergraduate trek. If you are eligible to work in the US you can of course also do internships during the semester. Whether the workload is manageable is a personal question. I have classmates who work 5-10 hours a week with no problem and classmates who say they would not manage that. Typically, the first summer semester is very intense, but the fall and spring semesters have a bit more flexibility as those semesters you will not have class on Fridays. If you have any more questions that are not answered above, don’t hesitate to reach out at mbaga@stern.nyu.edu! If you’re admitted and decide to join Stern’s Tech MBA cohort, you should be careful not to only focus on mingling with your close classmates. Instead, find ways to reach out to the broader MBA community. While I’m not disregarding the importance of developing sustainable relationships within the Tech MBA class, the nature of the program will offer plenty of opportunities to do so by default. That being the case, here are five ways that I’ve made the most out of the Stern community by networking with other students in the various MBA programs. Remember, Stern has several other MBA programs including but not limited to the full-time program, fashion and luxury specialized program, part-time evening classes, and dual degree students. Most clubs are open to any MBA students and if there is a common interest, you can bet there is a club created for it. There are even a few leadership opportunities for Tech MBA students specifically in some of the technology-oriented clubs. Here is a list of all of the clubs that Stern has to offer. Several case competitions will float through your email inbox throughout your year at Stern. Case competitions are a great way to put your new business school knowledge to work while collaborating with other students at Stern. Most competitions even have a pretty substantial monetary reward! If you’re not familiar with case competitions, check out this Poets & Quants article on them. Before mentioning alumni events, I feel as though I should mention is this first: don’t target recruiting events strictly as a way to network with your classmates. Recruiting events are designed to help students learn about companies, not students. Similarly, the pressure and competitive mindset of certain industries may make recruiting events high-stakes and stressful for attendees. On the contrary, alumni events are set up specifically for networking and meeting current and former students. Most alumni who come to these events have open arms and ears and are looking forward to meeting you. You can see a list of upcoming alumni events here. When the fall semester rolls around, Tech MBA students are viewed as second-year MBA students from a registration perspective. That means your classmates in electives will be composed of students from the full-time program who have known each other for at least a year. Make an effort to form class groups with students outside of your Tech MBA cohort and sit next to people you haven’t met yet. Here is a full list of elective classes. Finally, the obvious one. Happy hours and social outings are often held at the end of the week, which happens to be Thursday in business school. Even if you don’t drink alcohol, your classmates will happily welcome you to these events. One of the most notable events is Beer Blast, which takes place every Thursday night, often following another great event called Stern Speaks. These events attract students from every program and are a great way to connect after a long week of classes. I hope these five ideas help you make the most out of your year at Stern. It will fly by, so make sure to take advantage of as much as you can while you’re here! When in business school, people often think of network as the group of people you are connected with socially and professionally. And one might naturally think of interpersonal communication skills as the foundations of network. The Foundations of Network I am about to write about today, however, is something completely different. This is actually one of our tech core class, taught by Professor Lakshmi Subramanian from Courant Institute of Mathematical Sciences. The network in discussion in this class is the network of computers – PCs, mobile phones, routers, servers, cloud and many other devices connected through the internet. The participants of this class include us (the Tech MBAs) and the students from the Courant Computing, Entrepreneurship and Innovation (MS-CEI) program, whom we already know very well through some of the business core classes we took together in the summer. Taking such a class within the computer science school might seem too technical and irrelevant for MBA students – after all, we are unlikely to be creating the network architecture or writing lines of software codes for the companies we will be working for in the future. But having a high-level understanding of various pieces of the very network that is so essential to our productivity nowadays can be hugely beneficial to understanding the risk and opportunities behind a product or business. On a practical level, some high-tech companies are known for asking MBA candidates questions like ‘what happens behind the scene when you type the address of the website in your web-browser?’. Professor Subramanian has done a great job this semester at explaining many engineering concepts to non-technical audiences and covering a wide range of topics that are highly relevant to current landscape in the tech industry. We started with the foundation of the internet – communication protocols between devices of different complexity, location or form, to how data packets are routed through the internet, to how a web page is downloaded through the http protocol onto our browsers, to how signals are sent over the wireless and cellular network, to cloud computing services, to more advanced topics like 5G network and data center architecture. As the capstone of this class, we are supposed to submit a project at the end of the semester – either build (code) a functioning product or write an in-depth case study about something related to the content covered in class. Our class is roughly split half and half between ‘build’ and ‘case study’ projects. It is very exciting to see what my classmates have come up with for their projects: interactive ads for mobile games, google phi case study, finger print authenticated QR code for login, Amazon data center in Chile case study, multi-user web-based games, case studies on mesh network and many, many more. Don’t be surprised if you see some of our apps pushed to app stores or case studies published in the near future! This class seemed a bit odd at the beginning but it has quickly become one of my favorite classes. Tech core classes like this class provide us with a unique opportunity to get exposure to the intersection of tech and business from the perspective of the tech side. Last, I want to give a shout-out to our Teaching Assistant Talal Ahmad, who is a PhD student in Professor Subramanian’s lab researching on mobile networking and mobile systems. Besides the fact that he is passionate and empathetic toward his students, he has also done amazing things with his research like deploying software-defined network base stations in Ghana. Talal is graduating soon – can’t wait to hear his new adventures! Fall semester in the Tech MBA program comes with new classes and friends, endless fun club activities, and everybody’s favorite… recruiting season. Tech is different than more traditional business school paths like consulting and banking, in that the timeline of recruiting varies based on the companies you are targeting. If you are targeting medium-sized companies or startups, they usually can’t predict headcount too far in advance and do just-in-time recruiting that will happen during the spring semester. But if you are targeting Big Tech companies like Amazon, Microsoft or Google, then you will likely be applying and interviewing during the fall semester. But preparation for interviews happens long before that, in fact, it will happen before you even step on campus. A few weeks before starting school in May, you’ll need to submit your resume to the Office of Career Development (OCD), who will go over it with a fine-toothed comb and provide feedback. Then over the summer, OCD conducts a number of helpful job search related workshops. Once the fall semester begins, you’ll start preparing in earnest for interviews. Earlier this semester, the Stern Technology Association invited Lewis Lin to campus for a full day workshop on tech interviewing. If you aren’t familiar with Lewis Lin, he literally has written the book on interviewing for product jobs at big tech companies. It’s never too early to start preparing for interviews, so if you’re searching for reading recommendations, take a look at his books. The first half of the workshop focused on the types of roles that tech companies are looking to fill. The second half of the day went even more in-depth on product management, with lots of practice problems covered that you might receive during an actual interview. While this workshop provided a solid foundation, there is no substitute for good old repetitive practice. To prepare even more, I partnered up with a few fellow Tech MBA classmates who were also recruiting this fall, and we spent hours lobbing practice questions at each other and providing feedback on answers. The Stern Technology Association provides guides on each company, so we were able to use that to tailor the practice problems based on the next interview. The last few weeks I have had multiple interviews at big tech companies, and all of this practice proved invaluable. The format (phone/virtual/in-person) and questions will change depending on the company, but with the right practice, you will feel confident in any interview situation. I get a lot of questions from prospective students around clubs, and rightly so, you are not only coming for Stern for your studies, the clubs are just as important for your experience! The clubs are also a great way to meet the other MBA students, help you networking with potential employers, learn something new, and of course have a lot of fun. There are three types of clubs: professional clubs, affinity clubs and what I would call “other” clubs. These are clubs that focus on career related events. There are many professional clubs at Stern, below the ones most relevant for Tech MBA students. For Tech-MBA students the Stern Technology Association (STA) is invaluable. For example, they organized a lunch where the MBA 2ndyears who had just done an internship at a tech firm told us about their experiences. This was very valuable for us to get an insider perspective on what each company was like and we got a lot of job hunt advice. Another workshop I really liked was on Product Management and given by Lewis Lin, a PM “guru” and author of several books on the topic. Entrepreneurship & Start-up Association (ESA) is another interesting club. The club focuses both on students interested in starting their own start-up, students looking to join a start-up after graduation and on students interested in venture capital. I find the club valuable for pointing out start-up competitions in the city as well as all events related to entrepreneurship that are organized by the university, not just Stern. The final club I want to mention is the Management Consulting Organization – a great resource for practicing case interviews and networking with consulting firms. Other professional clubs are in areas including emerging markets, entertainment media and sports, FinTech, government and business, marketing, luxury & retail, social impact and sustainability, energy & infrastructure, healthcare, private equity and real estate. The affinity clubs are either based by region, such as the Asian Business Society, these clubs are for students from that region and students interested in the region. The Latin American Business Association is known for the best parties, whereas the Stern in Africa club organized the most popular spring break trek this year. Then there are also non-region-based affinity clubs such as the Military Veterans Club and OutClass, Stern’s LGTBQ community. I am a member of the European Business Society, which always serves the best food and Stern Women in Business, one of the largest clubs at Stern. Then there are clubs for almost everything else: any type of sports, theatre, eating, drinking, public speaking etc. In total there are more than 40 Stern clubs, so something for everyone. And if there is a club that you are missing, start one! For me personally the clubs are my greatest source of FOMO, as I am a member of too many of them that almost every evening I have choice of several events to join. I guess it is a nice problem to have 🙂 . If you would like to know more about any of these clubs, send me an email at mbaga@stern.nyu.edu and I would be happy to answer your question or bring you in touch with the clubs. 1. How “Tech” do I need to be to complete this program? I’m not a developer and don’t have an engineering background. My background has varied extensively. I’ve worked on teams with engineers, marketers, designers, and entrepreneurs in tech and non-tech companies. Ideally, you have a passion for technology and industry experience is a plus. You will be required to learn basic Python as part of your early coursework and would be much better off if you spend some time to learn it on your own before joining your classmates on campus. There are several free resources to do so, my favorite is Codecademy. If you do arrive on campus without knowing Python, expect to spend some evening and weekends figuring it out – it’s not the end of the world, but I’d rather be out with friends on a rooftop in Brooklyn on a summer evening. If learning Python on your own time sounds daunting to you, the two-year MBA may be a better option. Keep in mind, your application is reviewed holistically by the admissions committee and they will be able to determine if your technical prowess aligns with the Tech MBA class profile. 2. What is “tech” about the Tech MBA? The Tech MBA is first and foremost an MBA. In essence, it is an accelerated business degree with a focus in technology. The degree contains a tech core that was designed with the Department of Computer Science at NYU’s Courant Institute of Mathematical Sciences and features technical classes that will teach you about networks, DevOps, and software engineering at a high level. On the business side, you will learn about technical product management and skills such as leveraging big data and business analytics. The tech classes don’t exist to teach you specific skills and technologies, but instead teach you how to think about technology, how it will change over time, how to harness it, and how to speak the language. Apart from that, we also partake in traditional business courses ranging from leadership to corporate finance and economics. 3. What is the recruiting process like when you’re finding a job? I should start by saying that as a Tech MBA student, you can recruit for the exact same roles as the traditional two-year students. You will be in the same corporate presentations, application pools, and networking events. That being the case, your status as a Tech MBA student will resonate differently with different firms. I have interviewed with tech companies and “Big 4” consulting firms and based on the response of my interviewers, the Tech MBA has only made my candidacy stronger. It’s a great talking point and shows that you are serious about your interests and know your strengths. Many firms are seeking more technical candidates and view the Tech MBA as a key option to source top talent. Some industries and firms strongly prefer a two-year MBA, especially in finance, so make sure your career goals align with your MBA journey. Remember, companies are seeking qualified MBAs with a strong business acumen and EQ – that’s ultimately why they come to Stern. 4. 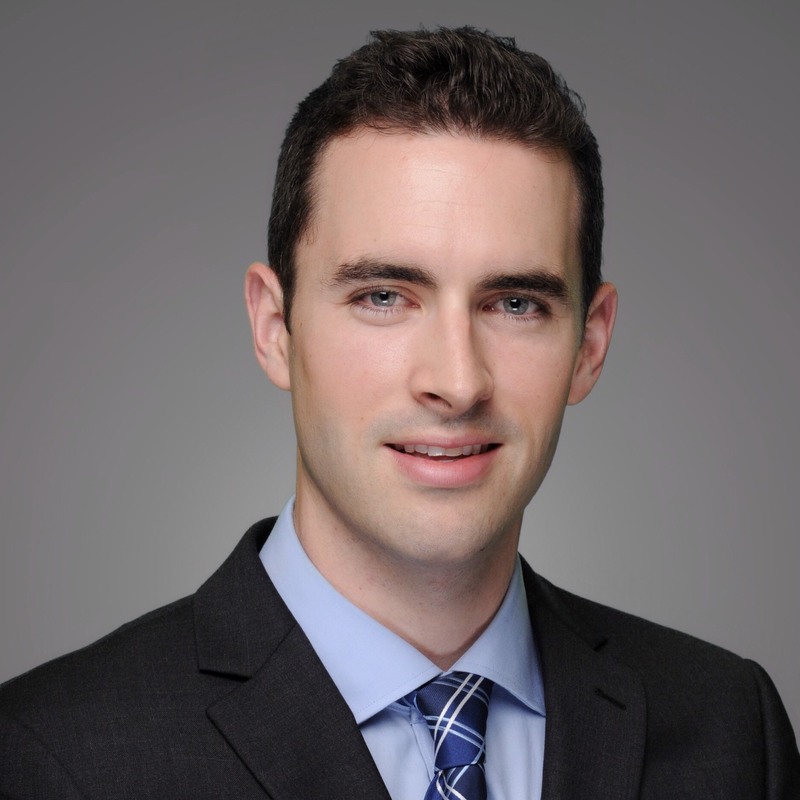 Why did you pick the Tech MBA over the traditional two-year program? As you may have read above, I have a passion for tech and knew that I wanted to work for a large tech company. Based on my goals, the Tech MBA was the best option for me and offered a really efficient way to get a top-ranked MBA in a shorter amount of time. Many of my colleagues in the two-year program are pivoting their careers – they may be changing industries entirely, exploring all of their options, or just taking the additional time to take electives and figure out what is best for them. I also have always been a “Type A” person and appreciated an efficient option to achieve my goals. 5. What do I lose by not completing an internship as part of my MBA? I consider internships an opportunity to “test drive” a specific company or role, specifically by experiencing something that you’ve never done before. Many of the two-year MBA summer interns receive full-time offers to return upon graduation, however, many students also restart the recruiting process entirely. There are a handful of jobs that require a summer internship prior to receiving full-time offers, so do your research and reflect if an internship is something from which you would benefit. As a part of the Tech MBA curriculum, you will take an experiential learning course called, “Stern Solutions” during the fall semester. You will have the opportunity to work with a company for the duration of the semester and many of my classmates have seen this as a minor internship role. Some other classmates also intern with companies during the fall or spring semester if they have the time. Once you decide how important completing an internship is for you as part of your own MBA experience, it will help you narrow down your application choices. For me and my classmates in the Tech MBA, not completing an internship during our program has never been an issue. I hope these questions and answers were useful! Please feel free to reach out to me and the other graduate ambassadors for Stern’s MBA programs at mbaga@stern.nyu.edu. In this blog I hope to give you a little insight in what it is like to be in the Stern Tech MBA by providing an overview of my recent week in the program during October 2019. The week started with one of my electives, Foundations of Entrepreneurship. We discussed the advantages and disadvantages of venture capital funding and what considerations to make before reaching out to VC’s. Then we had our Data class where we discussed the different ways of doing data analysis, by Python or SQL. I held early afternoon held office hours at the Berkeley Innovation Lab (one of my on-campus jobs) where I provide advice to the teams participating in the NYU Stern 300K Entrepreneurs Challenge. This is one of my favorite activities, and I provided the teams some UX research advice which is part of the next challenge. I ended the day with giving a tour of the school and answering questions of prospective students for the Admissions office (my other on-campus job). There were some really enthusiastic students that are going to apply for next year’s class. A good start to the week! In the morning I had an interview with a recruiter. Unfortunately, the role was very different from what I expected and am looking for, so I decided not to continue, but it was good to find this out early. In the afternoon, there was an on-campus career fair where I met with the recruiters of some large and small tech companies which was useful as I added some new companies to my “interesting potential employers for after graduation” list. At the end of the day, I had a ‘Networking’ class, which is super interesting. We discussed in technical detail how the internet really works, and the professor has a talent for explaining very technical concepts in a way that we all understand. In the early afternoon I did an ‘Introduction to Python’ course organized by the NYU library to increase my Python skills a little bit. I did not have any coding experience before coming to Stern, and my advice to prospective students is to do some self-study before you start at Stern so that you can hit the ground running. Afterwards, I met with my group for our ‘Technology Solutions’ class, where we do a semester long project for a company. Our company Nestio, is a real estate software start-up and my group met to discuss what to present to them in the next meeting. In the evening I attended a corporate presentation from a large Tech firm, which was helpful and also fun as there were Stern alums talking about their journey from Stern MBA to their current position. The day ended late with drinks and food with the European Business Society, a Stern Club for European students and anyone interested in Europe. In the evening we had our Tech Product Management course from a really good professor who currently still works as a Product Manager for a technology company. He lectures on all responsibilities of a Tech PM and at the same time we apply what we have learned in a new tech product of our choosing. We all gratefully soak in the knowledge. Thank goodness for Friday! On Fridays there are no classes at Stern. It was a very good but also exhausting week. In the morning I participated in a yoga class for charity organized by one of my classmates. This was some very welcome relaxation. Afterwards I had the meeting with Nestio, where my group and I discussed next steps for the semester long project. In the afternoon I had a Google Hangout meeting with an alum who had a very similar background to me, coming from consulting and now working as a Product Manager at Google. It was great to hear from him about how Stern helped him make this switch and more about his day-to-day job activities. The great thing about Stern is that you not only have a great network of more than 800 students on campus, but also the whole alumni network who are more than happy to meet with you when you reach out to them. All in all, a good week, and I will spend the weekend preparing for the classes and assignments for next week and doing some sports. Good to know for prospective students about the new 1-year MBA, is that it really is a 7-day a week commitment, but one that is extremely rewarding! Learning beyond the walls of an MBA classroom! One of the biggest advantages of pursuing an MBA in New York City is to get the opportunity to attend events and meet industry professionals from a variety of fields. One of the technology entrepreneurship events that I attended was a cross between a TED Talk and an open mic night. 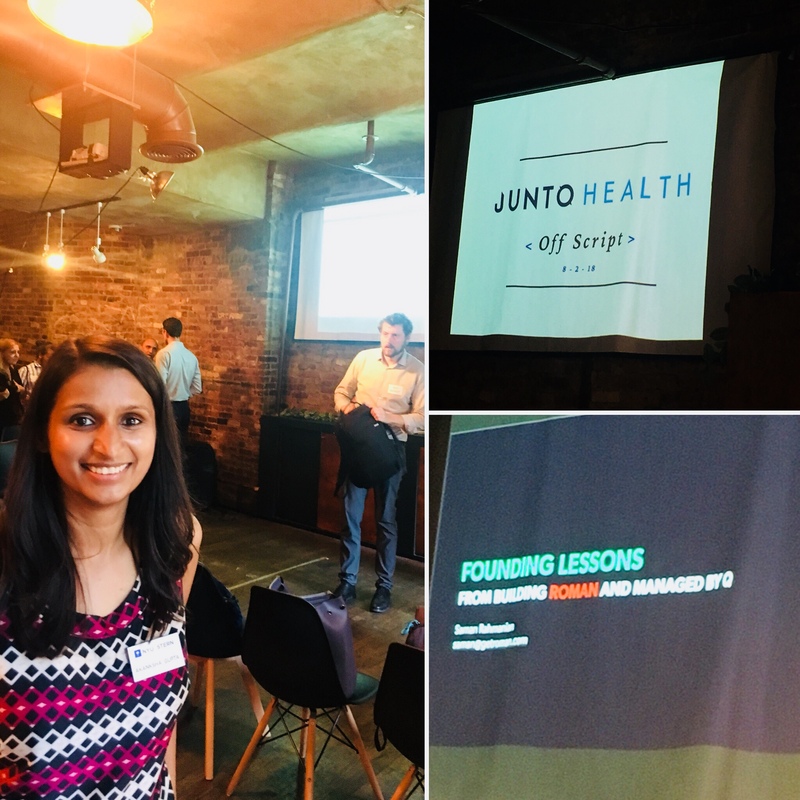 The event provided an excellent networking opportunity within NYC healthcare tech industry, differing opinions about tech in healthcare from the two featured speakers, and the chance to learn from the audience members. I was drawn to this event because speakers were encouraged to share learnings from their entrepreneurial journey rather than pitching about their company. I arrived about 30 mins early and interacted with the CEO of the company that organized the event. I learned that the company hosts such events every quarter where they attract health-tech entrepreneurs. I met an MBA student who also works as a Pharmacist. He shared that pharmacies use machine learning tools to predict and fill prescriptions in the pharmacy. I also met with a founder of a health tech marketing organization who works with other healthcare companies to market their products. After initial networking conversations, it was time to hear from the two featured speakers. The first speaker kicked off the session and focused on the importance of new tech advances to provide health care using online platforms. This contrasted with the second speaker who did not fully embrace the importance of tech in healthcare and instead highlighted that best healthcare means providing better care and not the tech tools that aid in providing that care. During early stages of a new product idea, surround yourself with optimistic people. Some of the learnings from this talk were – it is difficult to find and convince a co-founder to team up with, rally people around your idea especially in the early days. Your idea won’t be stolen so start socializing it now! He also emphasized that ideas are fragile at the start, so it is better to surround yourself with optimistic people first; make your idea look real by creating wireframes even if you don’t have a real product yet; use that as your Minimal Viable Product (MVP) and this will make your idea look real. Additionally, it will trick others and yourself into believing it. He further noted that even if you’re launching in a few months, start signing up people early and start putting thoughts into writing to help streamline your thought process. He shared that the MVP for his company was just 3 slides with rendered website images to make it look real. His key takeaway was your idea should have a big finish and easy start while making your idea appeal to diverse stakeholders such as in engineering, marketing, and finance, because, then more people would have fine-tuned the idea using their professional expertise. Attending a tech entrepreneurship event! Listen and appreciate differing viewpoints. The second speaker was a physician and a founder of a modern sports medicine clinic. Throughout the talk, he strongly emphasized that in the healthcare industry clinical care and customer experience are more relevant than the technology behind it. During his talk, I also learned about new Apple medical record API. He equated learning about machine learning and AI in healthcare to learning about rocket science by villagers – which in his opinion is not that useful. I did not completely agree with his opinion, but I appreciated listening to his viewpoint. It was good to hear a different perspective which was not in line with every other opinion I hear around me. After the two featured speakers, there was an open mic session where audience members could share their entrepreneurial learnings. In conclusion, I really enjoyed this event especially meeting and hearing from the entrepreneurs in the healthcare industry. Differing opinions about the use of tech by two featured speakers made the event really stand out for me. It also gave me the opportunity to learn about a completely different industry. Posted in UncategorizedTagged MBA, NYU Stern, Tech MBALeave a Comment on Learning beyond the walls of an MBA classroom! Fall semester is here and with it comes for me one of the most looked forward to components of the Tech MBA curriculum: Tech Solutions. Without the benefit of a summer internship associated with a traditional two-year MBA, I knew I’d have to prioritize in-semester opportunities to gain work experience. Stern Solutions is woven into the curriculum of the Tech MBA, offering students a chance to work on projects that enable them to design, build and launch technological solutions to solve real-world problems. Having gone through design thinking and analytical workshops over the summer, the fall aspect of Stern Solutions is focused on delivering an actual technical product that addresses a problem facing a company today. After ranking a list of 13 potential projects to work on, I was assigned to a group with a fellow Tech MBA student as well a two-year MBA student. We are working with Infosys, a global leader in technology services and consulting, to develop a solution that utilizes machine learning techniques like natural language processing to help financial analysts pinpoint investment opportunities. I know that’s a lot of tech and finance buzzwords rolled into one sentence, but I could not be more excited to work on this project. After being assigned a group and a company contact, it’s really up to us to drive the project forward. Like most successful projects, it all starts with a kick-off meeting. 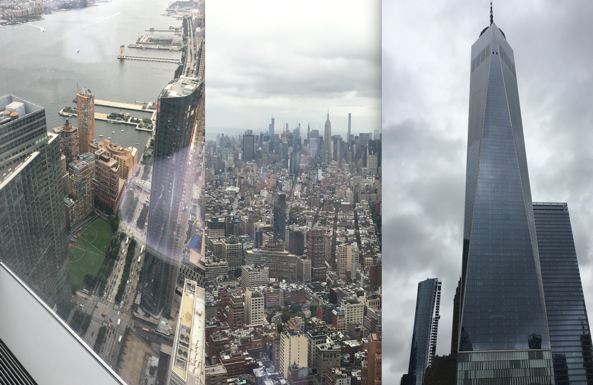 Last week, the team and I traveled to Infosys’ office, a stunning location on the 79th floor of One World Trade Center. One of the big advantages of going to business school in the heart of NYC is that most world-renowned companies have an office no more than a few subway stops away. After taking the blazingly fast elevator up, we got started in a conference room overlooking the city. I’ll be honest, it was a little intimidating when 5 Infosys consultants, including a senior partner, joined us for the meeting, but I quickly realized how friendly they all were, not to mention eager to help. We clarified project objectives, deliverables and timelines, as well met additional Infosys employees we could use as resources on the project. For a minute I forgot I was even in grad school! But the meeting soon ended, and we left with a stronger understanding of what the client is expecting. Over the course of the semester, we will have weekly check-ins with Infosys, as well sit-downs with Stern faculty advisors to ensure we are on track. This will no doubt be a challenging project, but I can already tell it will be one of the most useful and rewarding aspects of the Tech MBA program. Check back here later in the fall for an update on what we actually managed to build! Fall is the official kickoff of the recruiting season for MBA2s and us focused MBAs in the TechMBA program. You will constantly bump into fellow Sternies in the Kauffman center who are dressed up in formal attire attending various events put up by the Office of Career Development (OCD): corporate presentations, career fair, coffee chats, workshops and campus interviews. At this point in the fall semester, we have been focusing on events that help us get to know the potential employers and build a good relationship with them. These are great opportunities to talk to as many companies as possible and learn what they actually do which might be very different from what you thought they do. Through these events, I confirmed my interest in some companies, crossed some companies off of my target list, and added many companies that I never knew I would be excited about. As I am getting started with job applications and interviews now, I am greatly thankful for all the preparation work we did over the summer, mainly through OCD’s IGNITE program. IGNITE is a series of workshops and online modules designed to build job searching skills such as resume writing, networking, developing pitches, building a LinkedIn profile and interviewing. As one of my classmates put it: “I always dreaded attending the IGNITE workshops but I walked away from each one learning so much!” These workshops usually start with a short presentation going over the background and techniques in the relevant topic followed by an interactive practice session. The round-table practices provide an intimate and safe environment for us to practice our communication skills and provide real-time constructive feedback from classmates and career coaches. Through hearing our classmate’s responses and stories it not only helps us in building a strong bond but also provides additional thoughts for us to consider on our own career development. Another important component of the recruiting preparation is the individual coaching sessions with an OCD career coach. These are 30-minutes sessions dedicated to a specific topic we want to talk about related to the recruiting process, including resume feedback, cover letter feedback, pitch refinement, career goals and personal strength review, job search strategy etc. All the career coaches at OCD are knowledgeable, passionate and personable. If you are more comfortable in a one-on-one setting and want to seek more personalized feedback, definitely take advantage of these coaching appointments! Lastly, every alumni and career coach I have talked to emphasized the importance of networking in the process of job searching or career development in general. I have heard repeatedly ‘use your student card and ask for coffee chats. You will be surprised how many people will respond to your request. It might seem a bit intimidating at the beginning, but sometimes you just have to try it and the response I’ve got so far is overwhelmingly positive. To search for potential networking candidates, I have asked for help from OCD career coaches, utilized LinkedIn alumni functionality, and cold-contacted people I have met through industry events I attended. You will be surprised how willing people are to help and to share their stories! Posted in UncategorizedLeave a Comment on Tis the recruiting season! Pumpkin spice and a new iPhone? It must be the fall semester! We returned to campus after a two-week break and it’s clear that Stern has a renewed sense of energy. Over the summer, the students on campus were limited to the one-year focused MBAs, which consisted of my Tech MBA colleagues and the Fashion and Luxury MBA cohort. While we spent most days in class or doing homework, we became close with the other focused program students and managed to fit in plenty of socializing between courses. As the fall rolled around, the campus began bustling. However, it’s cooling down outside and commuting in the city is much more enjoyable. Our first day back on campus was met with an influx of second-year MBA students returning from their internships, first-year MBA students part of the traditional 2 year program, part-time students from the Langone program, and even some lingering undergraduates who found themselves roaming the halls of the MBA classrooms. While it may be slightly harder to find a quiet study spot in the student lounges, the combined energy of all of the students on campus together truly captures the experience of an MBA. During our first week, club kickoff meetings and social events started immediately, along with corporate recruiting. Over the summer I applied to be a VP of the Stern Technology Association, a professional club with a focus on technology. The club helps students with or without tech backgrounds learn about the benefits of having an MBA in the tech world and offers several unique immersion treks and recruitment opportunities for all of its members. I was interviewed by the current club leaders and am now the proud Co-VP of Academics and Collaboration along with another student from the Tech MBA program. In addition to the club’s scheduled programming, we are focusing on integrating the Tech MBA students with the rest of the club to share knowledge on interviews, casing, and general preparation for recruiting. 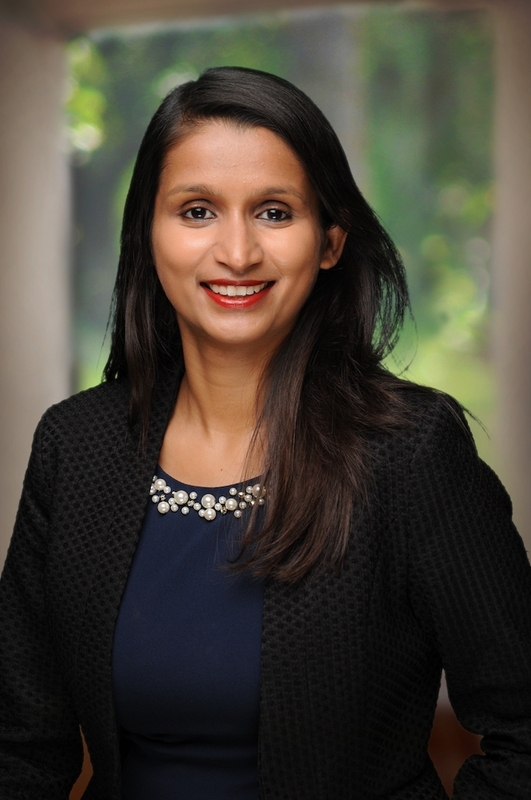 The diverse backgrounds of both Tech MBA students combined with the traditional MBA students allow for a unique blend of knowledge that everyone can learn from. Speaking of recruiting, I’ve been attending my first corporate presentations hosted by the Office of Career Development, or OCD, as you may hear it called around campus. Companies spend about an hour introducing themselves speaking about their culture, working styles, and development opportunities available to MBA students. Following the presentations, the events are typically opened up for casual networking to learn more about specific opportunities or your own compatibility with the firm. If you are interested, be aware that the application deadlines come quickly, and then interview invitations are sent out. Traditional industries such as finance and consulting typically recruit in the fall semester, while tech-oriented jobs wait until spring to come on campus. While the summer was spent focusing on academics without the distractions of clubs and recruiting, networking with the additional students has been another way to learn about what career paths are available to us. They are also receptive and friendly to the one-year focused MBA students and are happy to see the specialized programs in place. There are new opportunities for the entire academic community to come together and be a part of a more inclusive, diverse network at Stern and even more to do. Posted in UncategorizedLeave a Comment on Pumpkin spice and a new iPhone? It must be the fall semester! Summer Semester – Over Already?!? 1. The experiential learning was exactly as claimed…an experience. 2. I feel like I’ve gained significant knowledge and perspective in the last 3 months that helps make the world make sense. I feel like I have an entirely refreshed perspective on how business works and what drives the economy. In the process of getting through the entire MBA core in 3 months, we compressed econ, finance, strategy, marketing, and many other classes into a small amount of time. This meant that I was forced to synthesize a lot in a short timeframe, but that also forced me to draw connections between the classes, our experiential learning, and what I see and read about in the world around me. All of a sudden, news articles involving financial markets and business strategy make a whole lot more sense. I knew coming in that finance has long been a specialty at Stern (and I was a little intimidated by that), but I was blown away by the quality of my intro to finance course. All in all, I shouldn’t have worried at all about this summer, but there’s a lot coming this fall. The dynamics of school are going to change a lot in two weeks when the fall semester starts. There will be more than 10 times the number of students at Stern, and clubs and recruiting will get into full swing. While I can’t wait to meet more students who will be my classmates for the next two semesters, it’s definitely a change from our small tight-knit groups we’ve had this summer. That said, the community we built in our program shows me that we will continue to support each other, and if the broader Stern community is anything like what we built within the Tech MBA, we have a lot to look forward to. There’s a lot more to say about the summer, but those are some top-of-mind thoughts. I’m looking forward to a couple weeks off, some travel, and getting into the swing of fall semester! Posted in UncategorizedLeave a Comment on Summer Semester – Over Already?!? As part of our summer curriculum, we have the NYC Tech Immersion class, which is a blend of guest lectures, company visits and Stern solution group project. “What does this have to do with the title of this blog?”, you might have asked. Well, Marcus and the trading game were my favorite sessions during our visit to Goldman Sachs in Jersey City on Friday August 3rd as part of our class. Before the visit I didn’t quite know what to expect besides the fact that GS is in the finance industry and that this was going to be one of the longer company visits (4 hours). Our afternoon started with a welcome note from Andrew Trout, the managing director of Human Capital Management, giving an overview of engineering at GS: 25% of the total global workforce and the mantra “challenge the status quo”. Then Sinead Strain from the FICC technology team talked to us about Marquee – the digital storefront for Goldman’s security division, and all the valuable lessons learned through the process of building Marquee, such as figuring out the proper business model, understanding the user persona and focusing on KPIs while creating the product. Next we had Regina Lerit from the digital finance technology team talking to us about Marcus – their consumer banking product launched just a few years ago. 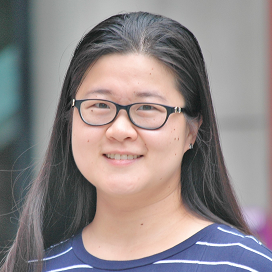 Regina shared the growth story of Marcus with us, from the initial customer research, to the ideation and development of its MVP – personal loan platform, to its growth strategy. She even quizzed us about the name ‘Marcus’ and explained why this name was chosen. My favorite part of Regina’s presentation though, was how she explained the traditional waterfall vs. the agile framework of project development. She used our classmates sitting at a table as an example of multiple participants on the team and described the workflow of how they would improve the design of a water bottle had they been using waterfall vs agile methodology. The explanation was very clear and easily relatable. I think I am going to use the same way to explain the two frameworks in the future. By this time, our class started to be a bit tired from all the presentations on a Friday afternoon: just in time for some highly interactive and fun activity – the trading game. Facilitated by two young and brilliant traders at GS, each group sitting at the table got to collectively decide the asset allocation among 4 stocks, the position we want to take (long vs short) and the opportunity to re-balance the allocation each quarter based on the macro-economic news and firm-specific news given in the simulated game. This got us all ignited and we even got to name our own team. From Fine-Ants, to Goldman Stacks, we got very creative. We had to discuss, calculate and decide how much we wanted to invest in each stock. We love to talk and our recent accounting and finance classes prepped us well. We had a lot of heated discussion on what the economic news meant, whether we should go long or short a company and how much to invest in each company. In the end every team was able to beat the average market return and the Goldman Stacks team made a whopping 60+% return over the course of 4 quarters (they had a CFA on their team so the other teams were playing with a competitive disadvantage)! This was before we learned the portfolio theory and importance of diversification in our finance class. I imagine our investment decisions will be different now. Everyone told me that my classmates would be one of the best parts of business school. While I was already very excited to be moving to New York and to make new friends, I have been blown away by everyone’s warmth and friendliness. Since our Tech MBA program in small (only 32 of us this year!) we all seemed to know each other by day 2. Additionally, we’re lucky to be spending the summer at Stern with students in the Fashion & Luxury MBA program, so we are able to meet, work with, and make friends with another group of individuals who have fairly different professional backgrounds from our own. Finding new lunch spots: Exploration of the restaurants in the neighborhood is a great way to start appreciating our location and getting to know people. With the growing LunchTech scene (yes, I might coin that term), we seem to find new sign up deals every week from some new app that offers us $3 lunches. We are likely destroying that young startup’s customer acquisition costs, but eating good food along the way! 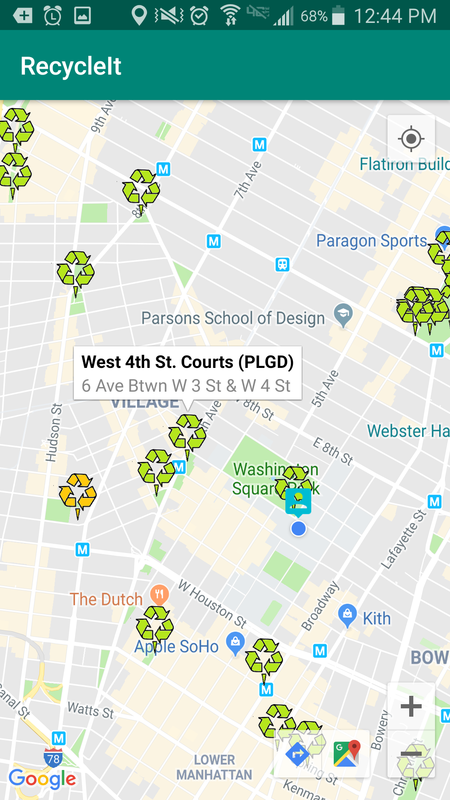 Biking, running, and other outdoor pursuits: While it’s 92° outside today in NYC, and I won’t be setting foot outside besides to get to and from the subway, I’ve spent several Saturday mornings on long bike rides with classmates. As someone from New England, I was skeptical of NYC biking and outdoors, but it turns out there are some great ways to quickly bike out of the city onto beautiful back roads, and great running paths along the rivers. These adventures have provided a break from the noise of the city, and continue to be a great way to get to know my classmates – what better way to do it than while you’re all wearing spandex biking gear? Dumpling tours: Yes, an actual class activity. It turns out that the leader of NYC’s top dumpling tour is a classmate. He’s a highly rated AirBnB experiences guide, and knows all the spots to hit in Chinatown. We’re lucky to have such diversely skilled classmates. This year is flying by. I’m a solid 3 weeks into the Tech MBA at Stern, and it’s time for finals! It’s crazy to think that I’m already almost done with two of my classes. The classes are highly interactive – but not in a scary way. It was easy to let my mind wander during undergrad differential equations class. I can’t do that at Stern. The professors expect active participation, but not the type where you’re just regurgitating numbers or facts – they want us to share our experiences and opinions. Given the diversity of our class, this allows us to all draw from our range of backgrounds, experiences, and failures. This leads to reason #1 why I’ve been able to sit still in Stern classes: They are engaging and participatory in a way that makes you want to jump into the conversation. Second, I quickly learned that our course content is highly relevant and thoughtful. In an era when issues such as workplace gender discrimination and corporate ethics are far from solved, I am glad to see us facing some of these issues head on. When I saw a class called “Leadership” on my schedule, I figured I was in for a lot of fluff. The first time Professor Nate Pettit opened his mouth however, I instantly knew my assumption was wrong. We don’t talk about how to give the punchiest PowerPoint presentation – instead, we focus on issues like barriers to communication, cultivating positive culture, leading effective change, and how to have difficult conversations (yes, he makes you practice!). So that leads to reason #2 why I can sit through classes: the professors are astoundingly thoughtful about why material is important to creating strong leaders, and focus on content that resonates with our past experiences and future aspirations. Lastly, Stern is an oasis away from a deluge of work emails. I am taking notes on paper for the first time in probably 10 years. I still can’t read my own handwriting, but putting away the laptop, putting my iPhone on do not disturb, and focusing on all the things that will further me professionally brings me to reason #3 I can sit through classes: I’m never going to get this opportunity again, and so far the program is filling the exact gaps I came here to address. Meet the inaugural class of 2019 Andre Koo Tech MBA! While you might be able to find the official class profile on the Stern website, or this article about a couple members from the inaugural one-year specialized MBA classes, you are probably still wondering, who are they? You might have noticed from the list above that some of us come from technical backgrounds and some of us come from business backgrounds. One thing we have in common, though, is that we all have a passion for the tech industry. Worried about your rusty math skills? Stern offers math prep course for this program. Don’t know what “pandas” mean besides the cute animals in China? Dealing with Data, a tech core class built into the summer curriculum, will walk you through that (Stern does assume you have some basic programming knowledge coming to the class and will send many coding prep resources prior to the orientation). Plus there are class projects which promotes even more learning from your classmates with more technical backgrounds. Don’t think the techies will be able to just fly through this program either (which I think is a good thing, otherwise why pay the tuition to learn something you already know?) The summer is loaded with business core classes such as Leadership, Marketing, Strategy and Economics (click here for a more comprehensive description of the curriculum). For introverts coming from STEM backgrounds like me, walking into the first class was a bit intimidating not knowing what to expect. The minute Professor Pettit, our leadership professor, opened the class with a question, our business-versed classmates started to chime in on the case study. It took me a while to warm up to the atmosphere but eventually I started to feed off from the energy in the classroom: everyone has something to contribute and we are very supportive of each other, even when we disagree. Three weeks into the program, I may still be a bit reluctant to raise my hand when Professor Foudy asks for volunteers in his Economics class, but I am a lot more comfortable to raise my hand if I have some ideas I would like to contribute than I was when the program first started. Hopefully that gives you a bit of idea about who we are and what we have been up to so far. If you have any questions, please don’t hesitate to reach out to our wonderful AdComs or us student bloggers! 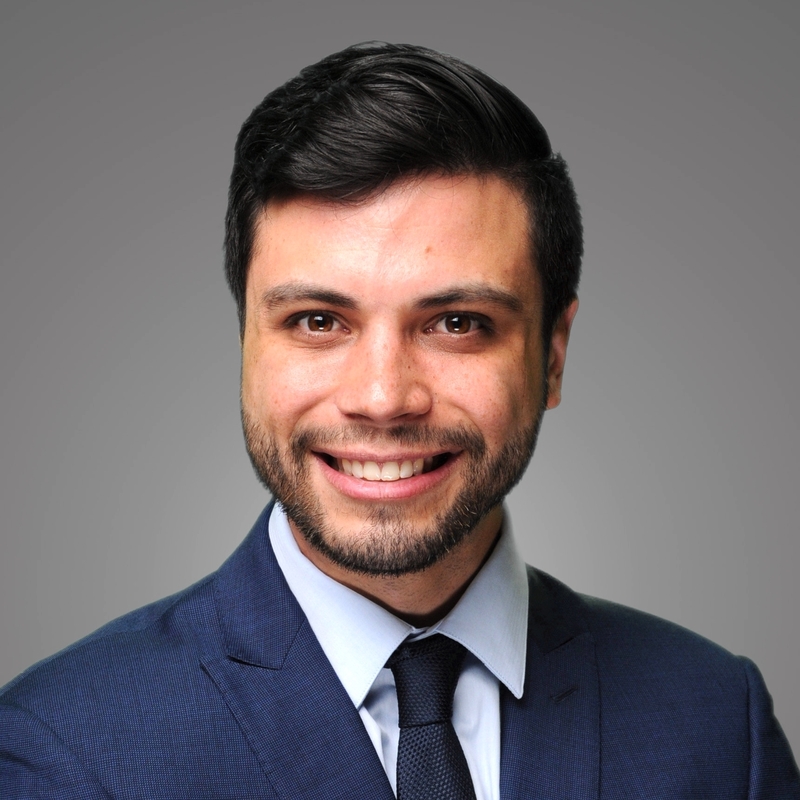 Posted in UncategorizedLeave a Comment on Meet the inaugural class of 2019 Andre Koo Tech MBA! Why do an MBA ? Why do an MBA? That is the question everyone I met in the last year has asked me: I am 32 years old (so older than most of the MBA candidates), I have two Masters Degrees from good French universities, and I had a job that I was passionate about. But I also knew that I did not want to do a regular MBA. I did not want to be away from the professional world for two years. I was at the age and had the professional experience where I could apply for part-time EMBAs, but I wanted the experience of the full-time program. Moreover, I knew that I wanted to work in the Tech industry, and the Tech world is moving so fast that it forces you to be flexible and to adapt. So I started to look online at MBA options, and I found that a one year MBA program was just created by Stern. That was just a perfect fit. And what is more exciting than being part of the inaugural class of the NYU Tech MBA? Being the first class gives you the opportunity to shape the model for future generations. It is also fascinating to be an agent of change because one-year-MBAs are a new offer created by business schools to answer the demands of companies and students alike. I can say that I feel as though I am a part of a startup experience and that’ s exciting! I just fell in love with the NYU Tech MBA program. It gave me the option to get a degree from one of the best business schools worldwide, live in my favorite city in the world and be part of one of the leading innovative programs the MBA world has seen in the last decade. So I decided to do it! But what I did not realize was how hard it would be to get in. I was used to being an excellent student in France. I was the class president every year with great grades … but facing the GMAT and this entirely new way to think (especially the multiple choice questions) was more than challenging! But I did it, and I won’t share with you how many times I took the GMAT but let’s just say that at the end the employee center knew my name. So when I received the acceptation Letter from NYU, I was ecstatic! Little to say that it was just the beginning of an intense journey: getting my student visa, moving across the country (I lived in San Francisco), and leaving my job were challenging tasks, but the help I received from the NYU Offices made it almost effortless. And so on May 10th, 2018, the day before the International Student Orientation day, I was excited to begin my MBA journey and to meet my classmates. At the same time, I was nervous about getting back to school, meeting my classmates and this whole new world in front of me. However, after 5 minutes in the classroom, I already made five jokes with the others students in my class, we all laughed, and I felt at home. Posted in UncategorizedLeave a Comment on Why do an MBA ? The moment we’ve all been waiting for is finally here… we kicked off our NYC Immersion summer project with Citi Ventures. Over the next few weeks, our cohort will be split out into small groups to brainstorm solutions to some of the city’s biggest problems. While we won’t be able to implement our solutions as part of our coursework in the next few weeks, the goal is to use design thinking methods to identify relevant problems and start quantifying them. Once we have identified a problem we would like to pursue, we will explore tackling it from a holistic, tech perspective and distill the business risks and opportunities into a presentation. We met with thought leaders in the “smart city” space to help us identify unforeseen challenges in our ideas and to talk through current efforts underway that may help or hinder our work. New York, like any major metropolitan area, is full of opportunities for improvement. Cities are controlled by local governments and are often slower to implement major technology improvements primarily due to their heavy focus on tight budgets. My group was directed to focus on the government as our primary “customer.” That being the case, we’re exploring the ways in which we can create sustainable solutions that last for many years and are easy to sell to stakeholders with clear, quantifiable results. The idea of a “smart city” sounds new and trendy, especially with projects in the works like Google’s Sidewalk Labs, however, cities have been undergoing massive technological improvements for generations. Nevertheless, this is the first time in modern history we’ve been able to combine the efforts of urban innovation with the internet. We are at a turning point in time when we can collect vast amounts of data, even if we don’t know what we’re going to do with it quite yet. This data includes metrics on the basics such as temperature, humidity, and air pollution, but also expands to micro levels including street-level noise and light pollution, traffic flows, and consumer behavior. Collecting this type of data today will allow data scientists in the short-term future to analyze this data to predict future trends, along with what kind of impact we can have on it. Successfully predicting the human impact on city-wide efforts allows us to focus our efforts on the most pressing tasks at hand. As part of our NYC Immersion summer project, we are exploring some of the ways in which major cities are starting this process and how it will shape the future of business. While the primary consumers and collectors of this data are inherently municipal and public governments, the private sector is beginning to fund projects in the effort to solve societal problems with innovative, tech solutions while building positive brand associations. We are trusting companies to use this data to help solve everyday problems that ultimately benefit society and it will be fascinating to see how this plays out as new solutions are built. My group is excited to kick off this phase of the summer project and we will be finalizing a version-controlled project charter this week. We have approximately 5 weeks left in the summer semester to complete this project and are looking forward to presenting our proposal to professors, business leaders, and team members at Citi Ventures. In the business setting, ethnographic research is typically used to study customer needs and customer behavior. Over the last two and half months, we have heard so many times the importance of product-market fit. Whether in marketing class, strategy class, in speaking with entrepreneurs we met during our visits to various start-up incubators, or during the kick-off of our summer stern solution project, time and time again, we heard the number one reason a start-up or new product fails is that no customer wants to buy it. We have heard stories of hugely successful products coming from customer research, far from what the business originally intended, such as Swiffer sweeper (can you imagine the original product in-mind was a new floor cleaning detergent?). We have also heard stories of failed products due to the disconnect between customer needs and product such as PlayPump (a pump to be deployed in Africa that harnesses the energy of children playing on a carousel and uses it to pump water out of the ground). How do we conduct ethnographic research then? There are two typical ways: ethnographic observation and ethnographic interviews. For the observation, one would go in the ‘field’ or an organization and watch people’s natural behavior in the environment. During our design thinking workshop, our group decided to address the walk-ability aspect of mobility in NYC as a smart city. The observation entailed us going to Astor place near Stern, watching how pedestrians navigated the subway exits, sidewalks or intersections, and summarizing common pattern of people’s behavior in their ‘natural’ state. We generated two insights from the observation. First, when people are lost at the subway station exit, they just follow the crowd without checking signs or maps for the proper route. Second, when pedestrians run into unexpected constructions they tend to cross the street in the middle of a block to avoid the construction. As it turned out in our ethnographic research, the top pain point for pedestrians in NYC is not uneven pavement, not accessibility for strollers or wheelchairs at the intersection, but construction ! None of our team members anticipated that in our brainstorming session! The other type of ethnographic research is through interviews. This is definitely more challenging from our experience as we needed to find random users who are willing to talk to us. For our entrepreneurship class assignment, we had to interview twitter users, persuade them to download the twitter app if they didn’t have it installed on their phone already, and ask for permission to take a video of the phone or computer screen as they interacted with the app or the website. Since classmates are not allowed to be a study subject (that would be too easy! ), my teammate Jim and I took a field trip to the World Trade Center and tried to find random strangers to participate in our interview. About 50% of the people said straight out loud they don’t want to talk to us. I was surprised this wasn’t higher, but I guess the student card helped (more on that later). About 30% of the people were willing to talk to us about their social media usage but not willing to download the app or let us video them using it, and the rest, about 20% became our amazing interviewees for the class project. Through listening to their description of how they use twitter and observing their body languages, we were able to see some patterns of how twitter is or is not meeting the needs of users. Stay tuned for our finished class presentation on this topic! Posted in UncategorizedLeave a Comment on What is Ethnographic Research? As of today, we have completed 6 weeks of Stern’s 1-year Tech MBA. During this time, we completed 5 courses, 30 assignments, 5 group projects, 5 immersions, 5 presentations and countless readings. The volume of work that we’re completing over the summer semester is not trivial. We’re cruising through 18 credits and learning about several subjects including finance, leadership, strategy, big data, and economics. While we’re only scratching the surface of some of these subjects, the fall and spring semesters offer the opportunity to dive deeper into disciplines and specializations that we’re passionate about. I’m really enjoying this high-speed approach to learning. The classes are long, and the homework stream is constant, but it’s amazing what Stern professors can compress into six or twelve 3-hour classes when they are asked to. We’ll be switching to a more “normal” grad school schedule once the fall semester begins. This means that classes will be taught through the entire semester and the pace of each class will be less accelerated. That being the case, other on- and off-campus activities will start gaining steam. The 2-year students will be back on campus from their internships (or just starting school at Stern) so the social outings are set to increase tenfold. Clubs will be packed with new members and the student government will be back together coordinating events. In addition to this, recruiting for specific industries begins in the fall and I’ll be seeing more of my classmates in their best interview attire between classes. A large part of business school at Stern is spent meeting and networking with the NYU community including other students, alumni, and professors. While I was searching for the perfect MBA program, a constant theme was the quality of the network that I would have access to. I knew Stern had a large network, but I didn’t understand just how welcoming it would be. Connecting with the NYU community is encouraged regardless of who you’re reaching out to. From the first day of orientation it’s embedded into the culture that we are a strong community that supports each other during our time at Stern and long after we graduate. Apart from forming friendly connections within our cohort, we’re encouraged to reach out to Sternies who may be able to help us learn more about where we want to be or what we want to do, whether they are students in the other programs or recent alumni at our target companies. Before I started at Stern, I was reluctant to actively network. I did what was required to thrive in my career, but rarely stepped out of my comfort zone. I felt somewhat awkward reaching out to people in a strictly professional manner, sometimes secretly hoping they could help me further my career. I assumed that if done incorrectly that it would come off as desperate, inauthentic, or self-promoting. My assumptions were quickly challenged – everyone I’ve reached out to has been thrilled to help me navigate the next year and upcoming recruiting season. What I have learned is that networking is ultimately a two-way street. When I put myself in the shoes of a prospective mentor or if I were called upon to help a student, I would happily do so. Many working professionals enjoy sharing their experiences and relish helping students avoid making mistakes that they may have made. Often times, the advice they have to offer can only be given by someone who has lived through a specific unique experience. They will likely also be curious about what we are learning at Stern and how the landscape of MBAs is changing in real time. Networking is a major piece of the business school experience and a large network offers opportunity. However, filtering through a large list of contacts to find the right mentors is up to you. Once you have identified who you would like to meet, whether it be through a school’s database or LinkedIn, reaching out to them in a clear and professional manner to ensure that you can create a mutually beneficial relationship is the next step. I’ve already made several connections through NYU and plan to continue to do so until graduation and beyond. NYU Stern might not strike you as a business school with a strong component in Entrepreneurship. A month into our Tech MBA program, we were astonished by the amount of resources available on campus for entrepreneurship – it felt a bit overwhelming at some time, in a good way though. Last month we visited the Digital Future Lab in Brooklyn and the Leslie E-lab right next door to Stern. The creativity, collaboration and synergy flowing at these places are amazing. First, let me tell you a little bit more about these two labs. Digital Future Lab is one of the four future labs started by NYU Tandon school of engineering, the City of New York, NYSERDA, and the New York Economic Development Corporation. With the funding from the city and state government, digital future lab is external facing – helping companies in the NY community by leveraging the resources at NYU. This incubator has various programs that help start-up companies to secure funding and grow to about the size of 50 employees. On the other hand, Leslie E-lab is the internal facing NYU entrepreneur hub – helping current NYU students and faculties across all NYU schools to bring their ideas to real life. The E-lab offers a wide variety of opportunities to foster entrepreneurship and cross-disciplinary collaboration, including startup schools, NYU entrepreneur festival, Healthcare Makerthon, 1-on-1 coaching and mentoring, Startup Sprints and Summer Launchpad, just to name a few. During our visits to the two labs we met with Craig Wilson, the General Manager of the Digital Future Lab, and Frank Rimalovski, the Executive Director of the Leslie E-lab, together with several founders at these two labs. Through our discussion with these panelists, one important lesson for every start-up or even product development in an established company is the importance of initial customer research. Apparently 75% of the venture capital backed start-up companies ended up failing, mostly because they built something which customers can not benefit from. This tied closely to the design thinking workshop we did with Professor Anne-Laure Fayard a week ago. We got to do some exercise with customer research ourselves during the workshop. There were many assumptions we made during our brain storming session that turned out to be wrong after interviewing potential customers. Extensive customer research at the beginning of a project is something I will definitely apply to our summer project and my future career! Another thing mentioned repeatedly during the visits was how difficult it is for start-ups to hire the right employee. It is very time consuming and costly to find the right talent. On the flip side, to be able to work at a start-up, you must be very passionate about the mission of the company and be clear about what you can offer the founder: building the product, bringing in funding, or saving time for the founder. If founding a company is not the kind of entrepreneurship experience you desired, maybe joining a start-up as an early member is another way to explore the start-up scene. To foster this match making between early companies and passionate entrepreneurs, there is a bulletin board at Leslie E-lab with postings from companies needing talent or individuals looking to join a start-up. Make sure you check it out next time you pass through the E-lab, just like some of my Tech MBA classmates did! On top of these two labs we visited, there are many other entrepreneurship resources at NYU to check out: the newly founded Creative Destruction Lab, Berkeley Innovation Lab, and Fubon Center for Technology, Business and Innovation. One month in the program, time flies! I have been in the NYC Tech MBA inaugural class for almost a month, and it has been a tremendous and intense discovery. However going back to school turned out to be harder than expected. When I envisioned my MBA experience, I anticipated the classes but not the homework, and the time constraints. It is not my first time experiencing the “going back to school effect” as, in between my 2 Masters Degrees in France, I worked for a year, and I decided to go back to school to obtain an academic degree in the area I am passionate about, International Business. However, it is the first time in 10 years that I have left the work environment altogether, and it is a massive switch in my life. The first, and obvious consequence, is that I do not have a paycheck waiting for me at the end of the month. It is changing the way I organize my life, and I cut back a huge part of not highly necessary activities …. like eating out every day of the week. We actually have an essential portion of the students that are making their lunch every day! Second, I knew that going back to school would be a shock in term of work schedule and theoretical learning, and I have to say that the shock is stronger than expected. I am very excited to learn and go to school every day, but the capacity to be focused without any screen in front of me for 3 hours is a new and challenging experience. I also used to travel a lot in my job, so I sometimes miss the feeling of being in hundreds of places at the same time. 24 hours of Dealing with Data where we mastered SQL, Python, as well as had an introduction to API and data visualization. It is dense and intense, it makes us think, and it forces us to change the way we used to work. We need to adapt to different people, from different backgrounds in a short period. It is a compelling experience that will change the way I work, and change the way I see the world. Moreover, I can reflect on several situations I went through when I worked, and I can always think about the actual use I could use for every class. It makes it more comfortable that we are a small class (32), and it feels that Stern is only for us this summer. The buildings are almost empty, so we feel a sense of ownership, and it allows us to take time to discover the place. And everyone in the academic offices and administration are highly supportive to help us navigate this new chapter in our life! Posted in UncategorizedLeave a Comment on One month in the program, time flies! Every Friday we sit down with business leaders and learn about their place in the tech industry. Our class gets to see a day in the life at prominent consulting firms, incubators, tech companies, and the like. Business leaders invite our class to their offices and present to us about the work that they do and the clients they work for. After each visit, I find myself having conversations with my classmates about which career paths feel the most desirable for us and if our post-graduation goals have changed. Oftentimes, even if our current goals are aligned with our original business school intentions, the new perspectives on tech in New York are invaluable in exploring what other opportunities may exist. An MBA from Stern is an impressive credential to add to a resume and meeting industry leaders has proven that new doors are being opened for all of us. Our first visit was to General Catalyst, a venture capital firm that invests in tech companies. Our second visit was to Deloitte Digital, the firm’s digital arm. The third was an exercise in Design Thinking with Anne-Laure Fayard, a professor from the Tandon School of Engineering where we explored methods of design thinking and ended the day with prototypes of solutions to improve the lives of commuters in New York. Finally, just last Friday, we learned about how many entrepreneurial resources there are for Stern students who are planning on starting a venture during or after their MBA. The opportunity to ask questions about what it’s like to work inside and outside of these firms and how they integrate within the city’s environment is a great way to go beyond the classroom. Seeing our lessons from classes put into practice by forward-thinking companies connects our academic experiences with the real world. The more we explore and network our way through the city, the more we find NYU connections and opportunities. Somehow, it’s like NYU has found a way to integrate themselves within every part of the city, they’re everywhere! Participating in this immersion-style course as part of the Tech MBA has provided our class with opportunities to learn about the New York tech ecosystem, network with industry experts and leaders, and explore different career opportunities in the New York area and beyond. Throughout the rest of the summer, we’ll be starting our work with Citi Ventures to continue to innovate and build new solutions for the city’s challenges. All of these opportunities were strictly available to us thanks to our location in the city, and I’m happier than ever to be here. By this time of the semester, we all tend to feel like we are drowning in meetings and deliverables. Yes, you heard me right, drowning. Every class we take has a group project component which is a significant portion of the grades, plus assignments, plus potential midterm / final. And that’s only for the academic side. There are also student club activities ranging from networking to skill-based workshops to case competitions to company treks or information sessions. Then on top of that, don’t forget about one of the biggest missions in business school – finding a job. For each company participating in on-campus recruiting, you start with a corporate presentation, followed by a coffee chat and round 1 on-campus interview, then potentially round 2 or many further rounds of virtual or onsite interviews. Each of these steps takes a few hours. And multiply this process by 10 to 20 employers depending on the industry you are recruiting for. Now we can start thinking about job applications to employers not conducting on-campus interview . . . Apparently, I am not alone in feeling the lack of infinite time to accomplish all things. When I look around at school, it is easy to think I am the only one falling behind on deliverables – I mean, look at my classmates, everyone is doing 10 million things outside classes, from running student clubs to connecting with the next class of Sternies, from participating in innovation challenges to developing their own businesses, from writing and publishing books to helping early stage ventures as Insite fellows. But here is what makes Stern a great community – we are all in this together, we feel safe to share our struggles with each other, and we are supportive of each other’s endeavors. The support from fellow classmates can come in many different forms: group dinner delivered to whichever random classroom we find available so we can catch up and bond; cheering each other during difficult times; teammates carrying the workload in the week when another teammate had an interview; setting up cloud based Jupyter server such that classmates can accomplish assignments more easily; or doing mock interview and providing resume suggestions for each other. On top of all that, faculties, career coaches as OCD (Office of Career Development) and staff members at OSE (Office of Student Engagement) are all eager to jump in and help, usually just an email away. At this time, we might all be treading hard to stay afloat, but I cannot ask for a better group to be in this together. I can’t wait to see what we all will achieve in just one short year when we cross the finish line together in May.